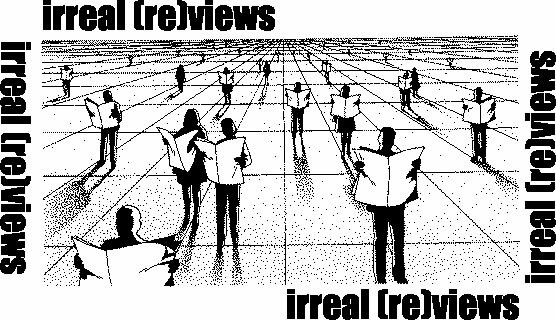 Irreal (Re)views is an occasional supplement to The Cafe Irreal featuring essays and dialogues about irrealism and reviews of books and movies that might be considered irreal. We are open to submissions and reviews (but only from the point of view of some variant of irrealism) and are interested in publishing responses to points raised in the essays and reviews. Since we have very particular and specific theoretical interests it might be better to query us first with your idea before writing the article or review. Graphic is from "ClickArt 40,000," Broderbund Software, Inc.